Some interesting things are happening in Robotics. 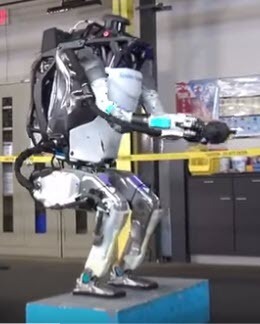 Here's a demo from Boston Dynamics demonstrating how well their newest robot can move and do gymnastics. Hanson Robotics is producing very lifelike robots that seem to be able to learn and converse. Video from Good Morning Britain. Two Hanson Robots debate the future of humanity and Robotics.